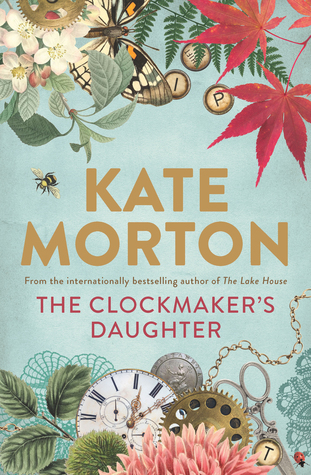 I have enjoyed some of Kate Morton's previous works, so I was excited to receive an ARC of The Clockmaker's Daughter from Allen and Unwin. The story and characters caught my interest right from the start, and I enjoyed the shifting time line as we unravelled the truth of what happened piece by piece. I actually gasped out loud when I realised where things were heading (which wasn't until quite late in the story). Morton weaves the mystery carefully through the tale in a way that keeps you guessing, only for each revelation then to make you think "Of course!" It is adept storytelling of the kind that must have taken painstaking planning, which always awes a pantster-writer like me. If you like historical fiction, multi-time line narratives, and mystery, then this is a book you'll enjoy. For me, it was a solid 4.5 star read.